The room has: double bed, wardrobe, chest of drawers, tv, microwave, coffee maker, water heater, toaster and heating and fan. Everything completely new, very clean and very comfortable, with communal parking and access to the pool that is open all year. Bus stop 300 meters. Located in an urbanization with: bar, restaurants and supermarket and 2.5 kilometers from downtown Fuengirola and 3 kilometers from Mijas Costa. A great opportunity to know the area of ​​Andalusian white villages for little money. Marbella, Ronda, Mijas, Malaga, Nerja or Frigiliana a little distance away. Perfect for sightseeing, enjoy the marina, play golf, ride a horse or spend a few days in the sun. With 25 years of experience. Maximum security and guarantee. You will not have problems. Spend an unforgettable vacation for little money. Towels, hair dryer and hand soap. Great room absolutley spotlessly clean. Nice relaxing holiday very quiet at night owner was very helpful. Will be staying again. Lovely compact spotlessly clean casa. Nice apartment and the friendly, helpful host! We stayed for 3 days and found the accommodation to be perfect for our holiday. The host is very friendly, helpful and easygoing. The apartment, and the building itself, were very clean and very well maintained. Thank you for a wonderful weekend. Thank you very much for your comment. Our intention is that guests spend a pleasant and comfortable stay. OK pour 2 ou 3 nuits, mais pas pour passer des vacances plus longues. Chambre très propre mais minuscule, trop exiguë pour 2 personnes. La petite fenêtre laisse entrer peu de lumière. La piscine à quelques pas est agréable et la mer est accessible à pied. Excellent restaurant dans la localité. La chambre a une capacité maximale pour deux personnes et comme vous dites, elle est très propre et confortable. Il a une fenêtre dans la chambre et une autre fenêtre dans la salle de bain. L'annonce précise que la capacité maximale de la chambre est de deux personnes mais que vous étiez trois personnes. Vous avez apporté un matelas pour la troisième personne qui occupait la chambre. Si une chambre est pour deux personnes, elle ne devrait pas être occupée par trois et vous les connaissiez. Je vous l'ai dit depuis le début, mais vous avez insisté sur le fait que ce n'était pas un problème. Et j'ai accepté de ne pas les laisser dans la rue. La habitación tiene capacidad máxima para dos personas y como usted dice es muy limpia y confortable. Tiene una ventana en el dormitorio y otra ventana en el cuarto de baño. El anuncio especifica, que la capacidad máxima de la habitación es para dos personas pero ustedes eran tres personas. Ustedes traían un colchón para la tercera persona que ocupaba la habitación. Si una habitación es para dos personas, no debe ser ocupada por tres y ustedes los sabían. Yo les indiqué esto desde el principio pero ustedes insistieron de que no era problema. Y yo acepté para no dejarles en la calle. The room has a maximum capacity for two people and as you say it is very clean and comfortable. It has a window in the bedroom and another window in the bathroom. The announcement specifies, that the maximum capacity of the room is for two people but you were three people. You brought a mattress for the third person who occupied the room. If a room is for two people, it should not be occupied by three and you knew them. I indicated this to you from the beginning but you insisted that it was not a problem. And I agreed not to leave them in the street. Se trata de una habitación con baño, totalmente independiente, en un chalet adosado, cerca de la playa, con todo lo necesario como tv, microondas, tostador, cafetera, calentador de agua y ventilador. Ah y todo nuevo. Thank you very much for your kind comment. It has been a pleasure your stay. Located in a complex facing the sea. The complex has restaurants, supermarket and bars. 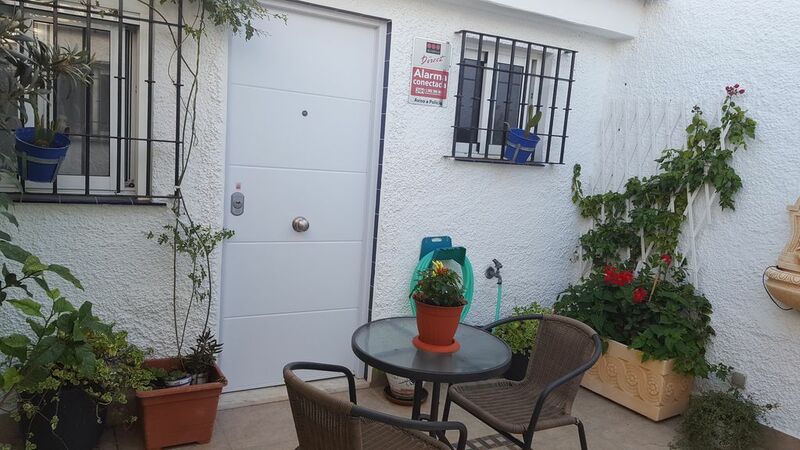 Only 2 kilometers from Fuengirola with Shopping Center with: shops, cinemas, Carrefour supermarket, etc. Close to Supermarkets Lidl and Mercadona.